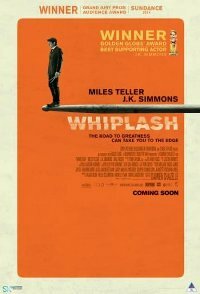 This film arrives just before the Oscars with five Oscars noms, including best picture, as well as numerous other noms and wins. An ambitious young jazz drummer is single-minded in his pursuit to rise to the top of his elite east coast music conservatory. Plagued by the failed writing career of his father, he hungers day and night to become one of the greats. An instructor known equally for his teaching talents as well as for his terrifying methods, leads the top jazz ensemble in the school. 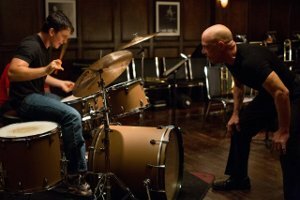 The instructor discovers the drummer and transfers him into his band, forever changing the young man's life. The drummer's passion to achieve perfection quickly spirals into obsession, as his ruthless teacher continues to push him to the brink of both his ability-and his sanity.